Profile Setup - Business Information - set your company information & financial Information Print Settings - customize and organize your invoice header information using the desired format. Find Customer - Search for a customer by company or company code. Also view customer name – email – phone & fax no. Line-Item Catalog - Build your quick stock list using item ID, description and price information & also search your list using item id or description. Create generic invoice/receipts for various customers without the need for tracking and reporting. Customer Report – View invoice and receipt list per specific customer within a specified date range. Click a document number to view the document, you can see report summary, print preview & print it. 2.) Secure Admin section plus Client login section. 3.) Add as many clients as needed. 4.) Add as many invoices for each customer as needed. 5.) Invoices self total the inputted data. 6.) You can search through customers or invoices for keywords. 7.) Keeps track of Payments you receive from customers. 8.) Automatic Email Paid Invoice system you can turn on or off. 9.) 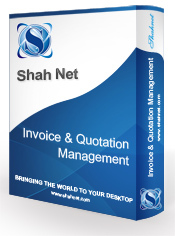 You or client can create a clean invoice for printing. 11.) Support forum for questions about script. 12.) PayPal Payments you can turn on or off.